For SP-Studio pictures edited with additional software. Here you can show pictures edited with Photoshop, MS Paint or Gimp. Usually you are allowed to create one thread for your edited SP-Studio pictures here. But if you have a whole collection to show you can create more than one thread. Just avoid spamming please. nice and is it me or are you always that cap and outfit when you go to that camping trips? Yes, that's my favorite South Park cap. 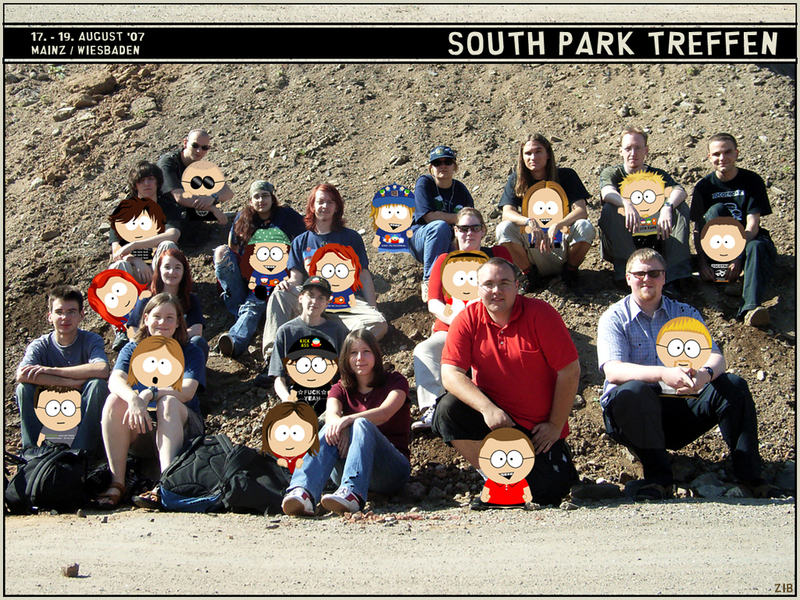 And when you meet with other South Park fans that's something like my official uniform . did you cut oat every single carater....this would take hours.. Damn, all these great pictures! Thanks . I draw the characters in front of a transparent background and copy them in the photo. It took some time, but it's okay when you have some Photoshop skills. Doing things like that is part of my job, so it did not take so long. It's just practising.